Ministerial Forum Coming Up – February 29! Pastors & Ministry Leaders, mark your calendar! 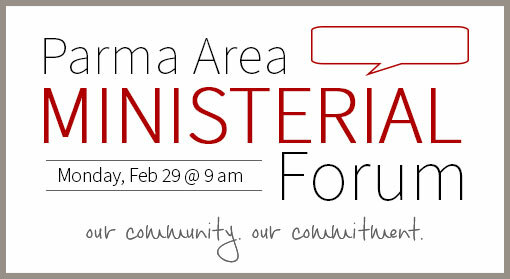 We will be holding our next Parma Area Ministerial Forum on Monday, February 29, at 9:00 AM (Coffee and refreshments will be available at 8:30 AM). PLEASE NOTE: We will be meeting at a new location! 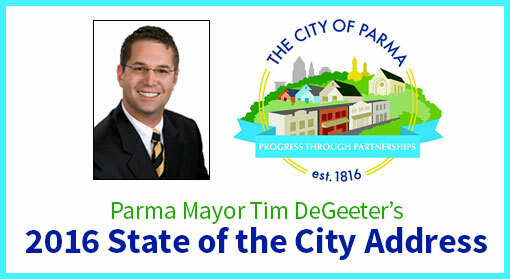 Come hear Parma Mayor Tim DeGeeter give the 2016 State of the City address on Monday, February 22nd at 7:00 PM at the hall of the United Auto Workers Local 1005, 5615 Chevrolet Blvd. Mayor DeGeeter will be assessing Parma’s progress throughout 2015 and share the city’s goals and plans for 2016. Newly appointed Supt. 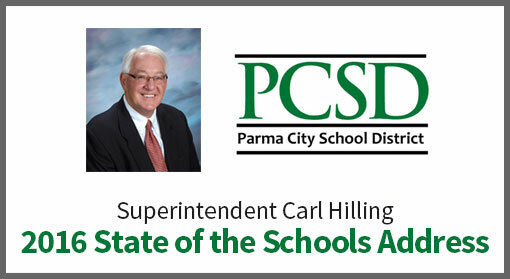 Carl Hilling will be giving his 2016 State of the Schools address on Thursday, February 25th at 11:30 AM during the Parma Area Chamber of Commerce Luncheon held at the Red Rees Room behind Parma Senior High School, 6285 W. 54th St. Enjoy a wonderful lunch prepared by the school’s own Sword & Shield. Cost is $15. 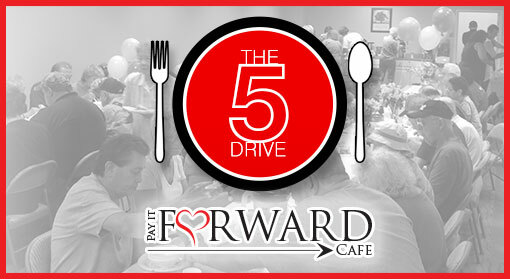 Reservations can be made (by Feb. 17) by calling 440-886-1700 or by email at [email protected]. Need a FREE Conference Table? 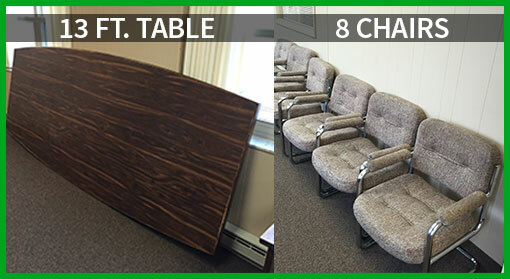 One of our community partners is donating a 13 foot conference room table with 8 cushioned chairs. If your church or ministry is interested, please email [email protected] or call 216-200-7030 for more details. Table and chairs are FREE and must be moved by February 15th! Did you know you can benefit Community Ambassadors simply by shopping online? You can through Goodshop! Plus, you can save money, too! 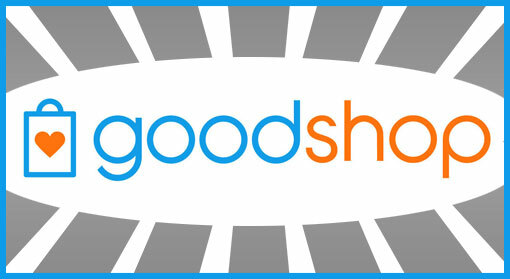 Goodshop provides you with the latest coupons and offers at thousands of top retailers like Amazon, Target, and Best Buy. The best part is when you shop with Goodshop, a percentage of your purchases is donated to your chosen cause. To start benefiting Community Ambassadors, please visit Goodshop at the link below and click on Get Started!